In October 2011, the British artist Tacita Dean presented Film at the Tate Modern in London. Dean’s work is a film short, projected in a continuous loop onto a large screen, in a dark space furnished with a bench for visitors. The written explanation at the entrance to the room draws attention to the presence of all these elements: “35mm colour and black & white portrait format anamorphic film with hand tinted sequences, mute, continuous loop, 11 minutes. Large front projection; projection booth; free-standing screen; loop system; seating.” In her article in The Guardian, Charlotte Higgins described Film as “pay[ing] homage to a dying medium,” and Film is undoubtedly an act in defense of film stock—the same film stock that Kodak had announced, on June 22, 2009, it would cease to sell after 74 years of production, due to a steep decline in sales. Beyond the preservation of a medium-support, Film also seems to invoke the preservation of a medium-device: in the Tate we find a projector, a reflective screen, a darkroom, a bench—all things that the new forms of image consumption, on laptops or tablets, seem to renounce. In essence, Tacita Dean attempts to restore to us all the principal elements of the cinema, those which characterize its material basis. Paradoxically, she sets them before us as components of an artistic installation: she gathers them together and reunites them for the purposes of a work intended for a gallery or museum. It is no accident then that the visitors to Turbine Hall do not hold the same expectations or display the same behavior as they would if they found themselves at the British Film Institute Southbank (which, by the way, is located not far from the Tate) in order to see a Woody Allen retrospective in one of its small theaters, or even in its Imax theater to see Mission: Impossible—Ghost Protocol. This audience did not go to Turbine Hall to experience what is usually called cinema, that is to say, a set of images and sounds that provide a particular representation of the world and a particular relationship with a spectator. It went there for art. Immediately a question arises: did Tacita Dean, in her attempt to preserve cinema, focus exclusively on its material elements while leaving aside or dispensing altogether with the social practices that it involves? In an opposite movement, if we exit the Tate—or the British Film Institute, too easily identifiable as a “temple” in which canonical works are worshipped—we find many cases in which cinema, understood as a form of representation and spectatorship, not only continues to live, but expands beyond its traditional support and device. For example, at almost the same time as Tacita Dean’s exhibit was being inaugurated, a group of Londoners reappropriated a space alongside a canal, under a highway overpass, and transformed it into a kind of outdoor movie theater where films were projected for the neighborhood residents. In August of the same year, the gardens in front of Paris’s Trocadero (the old site of the Cinémathèque) hosted the Moon Light Festival with open-air screenings. Some months prior to this Cairo’s Tahir Square, a space that had already been active during the Arab Spring, was reanimated with a projector and a large screen on which videos of various kinds were shown. Indeed, the diffuse presence of cinema goes well beyond these examples. In 2011 it was still possible to rent a DVD in a Blockbuster shop, and already in a Redbox kiosk; spectators were able to choose a title from the catalog of Netflix or Hulu and have it in a streaming format on their TV set or on their computer; a good number of films and clips were also available on YouTube. Similarly, movies were screened on airplanes, as well as in cafés and bars, although often mingled with sports and news. The film industry itself supported these new forms of distribution, moving a film from one channel of distribution to another with increasing velocity. There was also an enormous profusion of images and sounds that used a cinematographic language other than that of the feature-film format: we found cinema in TV series, documentaries, advertisements, musical clips, and didactic presentations. We encountered it, in disguise, in waiting rooms, stores, public squares, along streets, and on urban media façades. Finally, we found on the Internet a vast array of objects that still had something to do with cinema, from trailers to parodies, video diaries to travelogues. Today, this trend continues, but the picture has grown even larger. The enormous diffusion of screens in our daily life—including those of the latest generation, which are well-integrated into domestic and urban environments, interactive and multifunctional, in the form of windows or tabletops—brings with it a greater presence of cinema. This diffusion gives movies new trajectories along which to circulate, new formats, new environments in which they can be enjoyed. It allows cinema to continue to live—and not only to survive—as it adapts to a new landscape. Therefore, we find ourselves before a minor paradox: on the one hand we have an artist defending a traditional technology, even to the detriment of a mode of consumption; on the other hand there is an evident tendency among industry, consumers, and fans to promote the permanence of a mode of consumption even while renouncing a technology. It is precisely this paradox that allows us to begin thinking about the state of cinema today, beyond the facile proclamations that announce its death or celebrate its triumphs. What is happening to cinema in an age in which it is losing essential components and gaining unprecedented opportunities? What is it becoming at a moment in which all media, due to the processes of convergence, seem to be spilling out beyond their usual routes and embarking along new paths? What is cinema, and moreover, where is it? I will begin to respond to these questions by analyzing four points, in order to map out the terrain. First of all, a medium is not only a support or a device. A medium is also a cultural form: it is defined most of all by the way in which it puts us in relation with the world and with others, and therefore by the type of experience that it activates. By experience, I mean a confrontation with reality (to experience something), the re-elaboration of this reality into knowledge (to gain experience), and the capacity to manage this and similar relations with reality (to have experience). From its very beginnings, cinema has been based on the fact that it offers us moving images through which we may reconfigure both the reality around us and our own position within it. Cinema has always been a way of seeing and a way of living—a form of sensibility and a form of understanding, as a brief overview of the film theories of the early decades of the twentieth century will clearly demonstrate. Second, the two faces of the medium, its status as a support or device on one hand, and its status as a cultural form on the other, are usually closely linked together: we experience reality in the ways that a technology allows us to. These two faces, however, are also distinct from one another, and it is therefore useful to use two different names for them: it is not by chance that Benjamin speaks of the Apparat and of the Medium of perception; Rosalind Krauss of mediums and media (57); W. J. T. Mitchell and Mark B. N. Hansen of technological forms and forms of mediation (xi). One is the material basis of a medium, while the other is the way in which this material basis organizes our experiences. The distinction is becoming particularly important today, at a moment in which the type of experience that characterizes a medium seems able to be reactivated even without the full presence of its traditional material basis. Indeed, we have just seen an example of this: the cinematic experience can arise even outside of the traditional darkened theater, thanks to other devices, and though it is certainly not the same, it still retains many of its characteristic traits. Once again in this case, an overview of the film theory of the 1920s and subsequent years will illuminate how cinema was long ago conceived of as a medium that could also emerge in other situations. Third, what allows an experience to relocate itself in new physical and media environments? A new context brings transformations along with it. Even so, an experience—for example the experience of cinema—remains in some way the same when the new situation in which we find ourselves conserves, if not the traditional individual elements, at least a “cinematic” profile or shape. In such cases we “recognize” the presence of cinema even when it is no longer as it was, or where it was, before. Fourth, to recognize a medium, and cinema above all, in a new environment that is not its own is a complex operation. In a sense, this recognition takes us backwards: if our recognition is based on memory and habit, we look for something that corresponds to a canonical model. But recognition can also take on a progressive aspect: before a situation that is necessarily imperfect, we literally imagine what cinema could be, and thus open ourselves to new possibilities. It is also in this sense, in suspension between past and future, between having been and potentially being, that cinema, relocating itself, can survive. The cinema, from the moment of its birth, has been considered a particular form of experience. Obviously, it also involves a technical device; after all, it was born from a set of patents, and the earliest commentators and theoreticians were fascinated by the presence of a “machine.” Jean Epstein’s famous portrait of the movie camera comes to mind: “The Bell and Howell is a metal brain, standardized, manufactured, marketed in thousands of copies, which transforms the world outside it into art . . . . [A] subject that is an object without conscience—without hesitation and scruples, that is, devoid of venality, indulgence, or possible error, an entirely honest artist” (“Senses” 244). Then there is Antonello Gerbi’s description of the projection: “From the back of the long room, seated up high behind the audience—like the drivers of old hackney cabs in London—the projectionist holds in his fist the taut reins of the projection that is taking place. The band of rays that keeps the images bridled on the screen gives unity to the three essential elements of the cinema: it holds the screen, the audience and the projection booth together in a collected and peaceful order” (843). It is no coincidence then that in Europe during the first three decades of the twentieth century, one of the most common epithets for the cinema was “the mechanical art”—a term that is found in the title of a book by Eugenio Giovannetti, a text filled with proto-Benjaminian ideas. Nevertheless, the “machine” is not valued for what it is, but for what it can do and for what it makes the spectator do. Béla Balázs, in one of the more crucial pages of The Visible Man, speaks of cinema as “a technology for the multiplication and dissemination of the products of the human mind” (9). The printing press is such a technology, too, but while it has “gradually rendered the human face illegible” (9), cinema rehabilitates our visual abilities and restores our familiarity with the language of the body. “Every evening millions of people sit [in the cinema] and experience human destinies, characters, feelings and moods of every kind with their eyes, and without the need of words” (10). The emphasis is placed on the way in which the device mobilizes our senses and places us in relation with reality—on the type of experience that it engenders. This experience owes much to the “machine,” but not everything. It relies on a technology, but it also finds sustenance elsewhere. For example, the exaltation of vision is undoubtedly linked to the fact that cinema works through screened images, and furthermore, it presents them to us in a darkened room, which augments our concentration. As Giovanni Papini recalls, “[cinema] occupies a single sense, the sight . . . and this unique focus is ensured even further, in an artificial manner by the dramatic Wagnerian darkening of the theatre, which prevents any distraction” (1). However, if we are compelled to watch, it is also a result of our curiosity and our obsessions. Jean Epstein notes, “We demand to see because of our experimental mentality, because of our desire for a more exact poetry, because of our analytic propensity, because we need to make new mistakes” (“Magnification” 239). And Walter Serner, in an extreme and fascinating text, speaks of a “desire to watch,” which has always pushed humankind to attend the most terrifying spectacles, and has kept us from backing away from blood, fire, and violence. The filmic image places us in contact with reality—or better, with life. In one of the earliest descriptions of the Lumieres’ invention, André Gay connects “the striking impression of real movement and life” directly to the way that the device works (311). A few years later, Ricciotto Canudo, in his celebrated manifesto “The Birth of the Sixth Art,” while underlining cinema’s ability to capture reality in its wholeness, speaks of a “scientific theatre built with precise calculations, a mechanical mode of expression” (60). And yet Canudo lists other instances that push cinema toward a perfect reproduction of life: the inclination of modern times toward objective documentation instead of fantasy, or Western civilization’s predilection for action instead of contemplation. In one of his last contributions, Canudo will draw an even more general picture. He claims that cinema is essentially a new form of writing, and writing, he remarks, is born not only as “a stylization or schematization . . . of ordinary images which had struck the first men,” but also as an attempt “to arrest the fleeting aspects of life—internal or emotional—images or thoughts, so others could know them” (“Reflections” 295). From this perspective, cinema meets man’s enduring need to achieve “triumph over the ephemeral and over death” (“Reflections” 296). To capture the real also means to uncover its unfamiliar characteristics. Blaise Cendrars offers a touching description of a filmic séance: “Above the spectator’s head, the bright cone of light wriggles like a dolphin. Characters stretch out of the screen to the lantern lens. They plunge, turn, pursue one another, crisscross, with a luminous, mathematical precision” (183). Cinema is the domain of the uncanny. This surprise, however, is not merely triggered by a technical marvel: rather it is fed by a mix of availability and participation. In a paragraph bearing the extraordinary title “The Naturalism of Love,” Béla Balázs reminds us that “In films with many close-ups you often gain the impression that these shots are the product not so much of a good eye as of a good heart” (Visible Man 39). Cinema also activates our imagination, and it does so because the image on the screen lacks its own physicality. Georg Lukács observes that “the world of the ‘cinema’ is a life without a background and perspective, without difference of weights and of qualities” (12), and therefore it is open to pure possibility. However, the imagination is given free access only because cinema possesses a language, elaborated autonomously and through borrowings from other arts, that clears plenty of space for “fancy,” as Victor Freeburg notices. Nevertheless, cinema offers us a knowledge of the world. This is because its mechanical eye captures the subtle logic that animates reality in a way that no human eye is able to do. Dziga Vertov praises “the use of the camera as a kino-eye, more perfect than the human eye, for the exploration of the chaos of visual phenomena that fills the space” (14-15). And yet, according Sergei Eisenstein, the decomposition and recomposition of visible phenomena which form the basis of such knowledge constitute a process that art and literature—as well as ideographic writing—have been practicing for a long time. Cinema brings this process to its climax. Finally, cinema makes us feel like members of a community. The sense of belonging that accompanies the watching of a film is born of the possibility of projecting the same film in the same moment in many places. As Louis Delluc affirms, “The semicircle in which the cinema spectators are brought together encompasses the entire world. The most separated and most diverse human beings attend the same film at the same time throughout the hemispheres” (“Orestes” 257). However, this sense of belonging is also tied to an ancestral desire to create a state of communion in which one can live out collective feelings and values, as Élie Faure imagines, just as it is linked to the capacity of the modern crowd to share interests and foci of attention to the point of forming a true public opinion, as Victor O. Freeburg reminds us. Therefore, cinema is not only a “machine”: it is also an experience in which other factors—cultural, social, aesthetic—play a role. It is one of the technical devices that, between the nineteenth and the twentieth centuries, changed our way of coping with the world. However, it is also something that goes beyond a technology, and that involves anthropological needs, traditional forms of expression, the trends of the day, and the emergence of new languages. It is an apparatus, and yet it puts us in contact with a pristine world, and with “the visible things in the fullness of their primeval force” (Lindsay 290). The film theory and criticism of the first three decades of the twentieth century consistently developed this “experiential” approach. In the 1930s things changed a bit, and the “machine” took the upper hand. In his influential book, Film, Rudolf Arnheim observed that technical limitations, linked to the support and the device, are precisely what push cinema toward its own specific language; it is only by taking them into account that the best expressive solutions may be found. But the “experiential” approach would remain present, making a deep impression in those same years in the thought of Walter Benjamin and Siegfried Kracauer, to then reemerge with even more strength in successive decades in the work of André Bazin and Edgar Morin, as well as in the Filmology movement, whose work was based on a retrieval of phenomenology, psychology, and anthropology. The elements highlighted by this approach vary over time. For example, it is interesting to note how at the beginning of the century, many scholars stress cinematic experience’s resonance with modern experience (for a representative example, see Karel Teige’s extraordinary essay “The Aesthetics of Film and Cinégraphie”), while at the mid-century more weight is placed on its anthropological implications (as in Bazin and Morin). Nonetheless, a kind of central nucleus emerges: at the cinema, we face screened moving images; these images surprise us and take hold of us; they lead us directly to living reality, forcing us to see it again in its fullness. Simultaneously, they feed our imagination, opening us up to the possible; they provide a knowledge and an awareness, and they make us live in unison with other spectators. These traits do not belong exclusively to the cinema, and they do not offer a definition of cinema in any narrow sense; nevertheless, as a whole they characterize a phenomenon. If cinema is experience, this is the form that it takes. A peculiar trait of this experience is that once it is experienced in the darkened movie theatre, it can also emerge elsewhere, even far from the presence of a screen. In his essay-novel Shoot, Luigi Pirandello has his protagonist say, “Already my eyes, and my ears, too, from force of habit, are beginning to see and hear everything in the guise of this rapid, quivering, ticking mechanical reproduction” (8). To confirm such a sensation, a few pages later Pirandello provides a description of a simple event—a motor-car which passes a one-horse carriage—as if it were seen through point-of-view shots and a shot/reverse shot editing. The description ends on an ironical note: “You have invented machines, have you? And now you enjoy these and similar sensations of stylish pace” (77-78). Referring to the same years in which Pirandello wrote his novel, Jean-Paul Sartre recalls in his autobiography the intertwining of his childhood with the cinema, and confesses finding the atmosphere of those first movie houses even on the most unexpected occasions: “We had the same mental age: I was seven and knew how to read; it was twelve and did not know how to talk. . . . I have not forgotten our common childhood: whenever a woman varnishes her nails near me, whenever I inhale a certain smell of disinfectant in the toilet of a provincial hotel, whenever I see the violet bulb on the ceiling of a night-train, my eyes, nostrils, and tongue recapture the lights and odors of those bygone halls” (122-23). In a beautiful essay about his climbing of Mt. Etna, Jean Epstein recognizes something in the spectacle of the volcanic eruption that is typical of cinema: “To discover unexpectedly, as if for the first time, everything from a divine perspective, with its symbolic profile and vaster sense of analogy, suffused with an aura of personal identity—that is the great joy of cinema” (“The Cinema Seen from Etna” 289). Epstein also reminds us that the day before, while descending the mirrored staircase of a hotel in Catania, Sicily, he had experienced an analogous and opposite impression. His image reflected in a thousand profiles had offered him an unforgiving vision of himself, exactly as happens on the screen, on which we see things without the usual filters: “The camera lens . . . is an eye without prejudice, without morals, exempt from influences. It sees features in faces and human movements that we, burdened with sympathies and antipathies, habits and thoughts, don’t know how to see” (292). Finally, Michel De Certeau, years later, when the status of cinema was already changing, observed that watching a Jacques Tati film enables us to see Paris with different eyes, as if the city continued to live on a screen: “So, leaving the film theater, the spectator notices the humor of the streets, as if she shared Tati’s gaze. Film made possible a humorous vision that could not have been elicited without it. The same goes for the reading of a poem, meeting somebody, the effervescence of a group. If the register of perception and comprehension changes, it is precisely because the event has made possible, and in a certain sense made real—it has permitted—this other kind of relation with the world” (210). The cinema experience is thus contagious, reproducing itself even far from the darkened theater. An essay from the 1920s—which, not coincidentally, Walter Benjamin quoted in the epigraph to the third version of his “The Work of Art in the Age of Mechanical Reproduction”—explains how it is in fact characteristic of media to enable this reproduction of experiences. In “The Conquest of Ubiquity,” Paul Valéry, writing about music and the gramophone, notes that through the means of reproduction and transmission that are being created, “it will be possible to send anywhere or to re-create anywhere a system of sensations, or more precisely a system of stimuli, provoked by some object or event in any given place” (225). This means that we would be able to relive elsewhere emotions that seem confined to a particular terrain—including emotions apparently linked to specific fields, like music or literature. “Works of art will acquire a kind of ubiquity. We shall only have to summon them and there they will be, either in their actuality or restored from the past. They will not merely exist in themselves but will exist wherever someone with a certain apparatus happens to be” (225-26). The result would be a system that allows for the reactivation on command of all possible kinds of experience. “Just as water, gas, and electricity are brought into our houses from far off to satisfy our needs in response to a minimal effort, so we shall be supplied with visual or auditory images, which will appear and disappear at a simple movement of the hand, hardly more than a sign” (226). And in this way would be born “a company engaged in the home delivery of Sensory Reality” (226). The specificity of a medium, qua support or device, therefore lies in its ability to move experiences freely. If necessary, a medium may also lift experiences from another medium—as does the gramophone, when it borrows a sound from a musical instrument. This means that an expressive field—a medium, this time qua a cultural form—can find other instruments—other media—in order to venture beyond their own borders. The medium that intervenes does not represent a betrayal, but rather an opportunity: it gives the previous media the chance to survive elsewhere. Cinema, with its vocation for existing in other contexts, possessed all the prerequisites for following this same route. Valéry, however, never mentioned cinema in his essay. The reason resides in the fact that, when Valéry was writing, there did not yet exist new extensions ready to deliver anywhere, outside the darkened theatre, the characteristic “system of sensations” of a film. It is true that, thanks to portable projectors, cinema was already able to migrate into domestic spaces, into schools, into the squares of little rural villages: but the basic device was almost the same, even if more flexible. And it is also true that a few years later, in its golden age, the radio would offer many film adaptations, thanks to a rereading of their dialogues, their music, and comments providing further information: but the experience—which is in many senses a filmic experience—would lack an essential component, the visual one. In the epoch in which Valéry was writing, cinema had the capacity and the will to live again in countless other situations; but it was waiting for the means to do so fully. The means would arrive later—when the great theories of the two first decades of the century had become a memory for many, and when “classic” cinema had finished its grand parabola. This moment would coincide with the arrival of television, VHS and then DVD, the personal computer, the tablet, home theaters, and so forth. It is a moment at whose climax we now find ourselves living. Let us return to our original description of the increasing presence of cinema in our daily lives, often far from its traditional support and apparatus. I would like to use the term relocation to refer to the process thanks to which a media experience is reactivated and re-purposed elsewhere than the place in which it was formed, with alternate devices and in new environments. I am thinking of the newspaper: no longer necessarily made of paper, I am now able to peruse its pages on the screen of my iPad; but even from this new site it continues to allow me to experience the world as an infinite stream of news. I am thinking of the radio: no longer a domestic appliance or transistor-powered device, but rather an extension of my television or tablet, it nonetheless continues to supply the soundtrack of my life. And, naturally, I am thinking of cinema: no longer only in a darkened theater and tied to rolls of film stock running through a projector, but now available on public screens, at home, on my cellphone and computer, it is still ready, in these new environments and with these new devices, to offer screened moving images through which we get a sense of proximity to the real, an access to fantasy, and an investment in that which is represented. In all these cases the “system of sensations” that traditionally accompanies each of the media finds a fresh outlet. Thanks to a new medium—thanks to a new support or a new device—an experience is reborn elsewhere, and the life of the previous medium, in its fullness as a cultural form, continues. It is in this way that we can think of “being at the cinema” and “watching a film” even in bright light in front of a digital screen. The idea of relocation tends to stretch beyond what Bolter and Grusin call remediation. Remediation is the process through which “one medium is itself incorporated or represented in another medium” (45). It is a strategy advanced especially with regard to electronic media, and it can lead either to a reabsorption of the old medium in the new one (Bolter and Grusin mention the digitized family photo album on the PC, as well as some videogames that conserve the characteristics and structures of the films on which they are based), or a remodeling of the old medium by the new one (here the example is the shift from a rock concert to a CD-ROM). In remediation, what matters is the presence of a device and the possibility of refiguring it. Relocation, meanwhile, involves other aspects, which are in my opinion more decisive. On one hand, relocation emphasizes the role of experience. A given medium is defined by a specific type of watching, listening, attention, and sensibility. Therefore, it is not the permanence of its physical aspect, but the permanence of its way of seeing, hearing, and sensing, that assures its continuity. A medium survives as long as the form of experience that characterizes it survives. On the other hand, relocation emphasizes the role of the surrounding environment. A given medium is also defined by the situation in which it operates or which it creates—an experience is always grounded. Therefore, it is not the mere reappearance of a device that counts, but rather the manner in which it literally takes place in the world. The concept of relocation makes clear that the migration of a medium outside its prior terrain involves a type of experience and a physical or technological space. This attention to the displacement of an experience, as opposed to the simple replication of a device, leads us to confront two other problematic issues. The first is the relation between flows and locality that Arjun Appadurai references in his Modernity at Large. What characterizes our era is the presence of a series of “cascades” that profoundly redesign the surrounding landscape: goods, money, people, ideas, and media are redistributed and rearranged continuously within variable circuits. Their stop-off in a certain place not only involves new equilibria, but also tends to literally create new localities—it founds sites, just as temples and cities were once founded—within which we can locate the traces of a history. The concept of relocation serves to underscore the analogy between cinema’s transformations and the processes of circulation that characterize today’s world: cinema’s movement to new devices and new environments takes place against the backdrop of wider processes of migration that redraw the maps to which we are accustomed. The second problem is described by Gilles Deleuze and Felix Guattari with the terms deterritorialization and reterritorialization. Capital, modes of production, power, and institutions often break away from a structured system, wander through a no-man’s land, and then perhaps take root in a new territory. In this movement, what counts is a twofold process: on one hand, the liberation from a bond—the untying of these entities from that which anchors them; on the other, the form that the landscape assumes thanks to these migrations—the environment of arrival is not necessarily as organized as the point of departure, but rather tends to assume a rhizomatic form. The concept of relocation seeks to recuperate this sense of continual destructuring and restructuring, along with the idea of flexibility and dispersion that Deleuze and Guattari emphasize in their analysis. I have pointed out some of the threads to follow, and I have also managed to tangle them. The following pages will disentangle some of those which now may seem hopelessly knotted. We shall explore the notion of relocation in all its implications and consequences. Now I would like to confront the theme that it evokes more than any other—and which must be the first to be untangled. Relocation acts in such a way that an experience is reborn almost the same as it was. Here the emphasis should be placed on “almost.” And it can even mean “not at all.” In fact, examined from a certain perspective, a relocated experience can resemble “not at all” the experience that it is trying to replicate. Let’s stick with cinema. 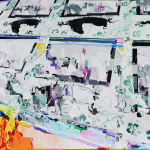 In its migration, it encounters new types of screens, starting with the four that now dominate the landscape: digital television screens, computer and tablet screens, cellphone screens, and media façades. These screens offer visual conditions that are quite different from those of the traditional movie screen. For instance, the screens of mobile devices do not offer any sense of isolation from the surrounding environment, so that one easily loses concentration on what is being shown. There is also the size of the images, which on smart phones or tablets renders their spectacular nature hard to appreciate. On a computer, the icons work as instructions more than as depictions of a reality. The screens in public spaces host a plethora of products—from films to commercials, from documentaries to music videos—creating an effect of superimposition, which makes it difficult to isolate any strictly cinematographic properties. These conditions strongly affect the viewer’s behavior. As empirical research directly or indirectly suggests, spectators who watch a movie on new types of screens have the tendency, as media users, to activate a multitasking form of attention, which leads them to follow more than one object simultaneously; they work through a process of sampling, rather than trying to grasp everything that is presented to them; they mix images of reality with more abstract information; when possible, they interact with what they see; finally, they attempt to deal with different and contrasting situations. In other words, spectators tend to adopt tactics learned from television, the computer, the cellphone, and social networks. In this case, what they undergo is an experience of cinema-beyond-cinema. But there is also another outcome that I would like to take into consideration here. Despite these new inflections, vision often remains “cinematographic.” It triggers what we may call a back-to-the-cinema experience. Indeed, these same spectators succeed in isolating themselves in an environment, in recuperating the magnificence of images, in concentrating on a story, and in enjoying the reality that reappears on these new screens. They accomplish this because, on one hand, the situation is a flexible one, and in some ways adjustable (for example, while traveling one can put on headphones, move the tablet closer to one’s eyes, and select a film to watch); and because on the other hand, it still presents a series of recognizable characteristics (there is a screen, a film, an attentiveness). These factors lead to the possibility of minimizing what seems incongruous and highlighting what recalls a more traditional form of usage. Cinema returns to being cinema. This move sometimes also applies to something that is not cinema, but perhaps would like to be: spectators can adopt the same attitude toward sports or videogames, based on the fact that in sports and videogames, just as in a film, the world is rendered into a high-intensity story and spectacle. So, “almost” can mean “not at all,” but it can also mean “nearly completely.” The problem is that in the relocated experience what counts is not so much its material conditions as its configuration. Material conditions make themselves felt: they constitute the concrete terrain on which the experience gains its footing, and they are what give a form its thickness. However, what makes itself felt above all is the way in which the components relate to one another. It is this configuration that tells us what this complex whole is or can be, or in which direction it operates or can operate. In particular, it is this configuration that makes the situation appear cinematographic—and allows us to live it cinematographically. It is not necessarily an a priori model, but rather emerges from the situation such as it is, with all its imperfections. Compared with an ideal type, any situation is intrinsically imperfect. It is always de-formed, from the moment at which it takes shape on the basis of contingent and particular conditions. The configuration that emerges, however, brings this deformation back into a specific form: the situation in which we find ourselves acquires a recognizable shape, reveals its “how” and “why,” and displays its guiding principles of construction and intelligibility. It is in this manner that the configuration reveals the presence of the “cinematographic” even where it seemed to be absent. “Almost” thus means that what is essential is present, despite its apparent alteration. But how can we make a cinematic configuration emerge from such ambiguous situations? How can we restructure such oftentimes vague elements into an arrangement that leads us to say “this is cinema”? This question brings us to the mechanisms of recognition. To recognize something or someone means two things. First, it means to associate, even with difficulty, what we have before us with something that we have already encountered: such is the case when Ulysses’s dog Argo recognizes him. It is thus a case of identifying a series of traits and seeing their correspondence with a reality that is in some way known or familiar. But recognition also means accepting the existence and legitimacy of something: such is the case when a government recognizes a new territorial entity or state. Here, we carry out a different sort of operation: we accept a reality, and we give it a certain status. Recognition is thus both of these things: it is an “agnition,” thanks to which something is identified, verified, and discerned; and it is a “ratification,” thanks to which something is validated, receives approval, and is constituted as such. I would add that both of these operations revolve around having an “idea of” what something is: in the first case, it is a matter of an idea that is recalled in order to carry out a correct identification, while in the second, the idea is constructed a posteriori, as the result of an acceptance. I would likewise add that neither of these operations is confined to the cognitive dimension: rather, they imply a concrete way of relating to what is recognized, and therefore a whole set of practices to be carried out. This is not only a decision made on a mental level: there are strong contextual elements that direct its outcome. There is, for example, the pressure of the market, which considers cinema “premium” content, or the desire to continue being spectators, even under difficult conditions: these help us lean towards a “cinematic” choice. But there is also the presence of technological devices, constantly being introduced, that push us in opposite directions. In any case, at a certain point we “read” the situation in one way or another, and we act accordingly. I have mentioned how a recognition implies an “idea of.” It is an “idea,” indeed, that on one hand allows us to identify what we find before us, and on the other one that we obtain at the moment we accept a given reality. From where do we derive the “idea of cinema” that allows us to recognize our experience? First of all, there is a “social image” of cinema that circulates in both specialized and non-specialized discourses and thus serves as a reference point. Theories of cinema function largely in this sense. We also extract an “idea of cinema” from our habits. Every time we go to the movies, we experience the same cardinal elements and engage in the same behaviors: this consolidated experience orients us. There is also our memory as spectators. We remember what cinema was, and we use our idea of it in order to test the experience we are currently having. Memory of cinema is a question of generation; it could dissolve in the near future. Nevertheless, while fragile, memory is still in play. Additionally, the work of the imagination comes into play: in front of an unforeseen situation—for instance a screen, the nature of which we don’t immediately grasp, displaying images in motion—we hypothesize that it has something to do with cinema, and we try to interpret it in this key. In this case, we act on the basis of a conjecture. Regardless of the way in which we deduce this idea, it provides a fundamental means of orientation: it helps us to understand whether we are dealing with a cinematic experience or not. Furthermore, it functions as a constitutive tool: it allows us to interpret our experience as cinematic, and thus makes it what it is. Nevertheless, it does not constitute a single, fixed model. The “idea of cinema” began to spring up in the very moment that cinema appeared; it has floated to the surface as cinema has advanced along its own path of development; it has readjusted and redefined itself according to the paths the cinema has embarked upon; it has become an individual and a collective patrimony; it has materialized to the point of becoming a reality in itself; and today it confronts new situations, showing their possible continuity—or possible variation—in respect to their precedents. But it also resurfaces in unexpected situations, taking as its starting point the differences that these put into place. The “idea of cinema” should be taken as plural. An “idea of cinema” is eventually also an essential component of experience. Thanks to the emergence of an idea, we reconsider what we are experiencing, and we understand what sort of thing it is. The idea tells us that we are experiencing something, and what it is that we are experiencing; it allows our experience to reflexively acquire self-consciousness. Every experience, in order to really be one, must align astonishment and knowledge. It is an experience not only because it surprises us and takes hold of us, but also because it makes us understand that it is an experience and a particular type of experience. Of course, this circuit is often interrupted, and we often experience things while unconscious of experiencing them. We are often like the soldiers that Walter Benjamin wrote about, who returned mute from the front, incapable of communicating what they had seen, victims of a shock that made them lose the meaning of their existence. Inexperience is always waiting in ambush, even and especially in more intense situations. The presence of an idea triggers this situation; it reunites a sensory richness with a path of re-elaboration, an Erlebnis with an Erfahrung. Let’s see how an idea of cinema works in borderline situations, as those that are born of relocation often are. What happens when it is measured against an almost that wants to seem like a nearly completely, even though it tends to be a not at all? Here I will examine a series of social discourses that, although they are not part of the domain of criticism and theory, seek like the early film theories to understand the key elements of the cinema experience. The blog allwomenstalk.com features a list of the best places to watch a film, in order of preference. In first place is “in bed,” followed in second place by “at the theater,” and then “at the drive-in,” “in the train,” “in the car,” “in the arms of someone you love,” and “in the park.” These rankings might seem surprising at first, but if we read the reasoning behind them, we see an idea of cinema emerging that is not too far from the traditional one: in bed one can relax and concentrate on a film, even with another person. “Your bed is a really great place to watch movies. There’s nothing like curling up and watching a good flick. You can curl up with your BFF, your partner, or even with a beloved pet. There’s nothing wrong with cuddling up with yourself to watch your favorite movie, either. You’re sure to be comfortable, and that will make you enjoy the movie even more.” I must add that in bed spectators rejoin the dreamer that film theories have always considered they are. The question of place also turns up in a short article in Charleston City Paper, an alternative weekly published in Charleston, South Carolina: “If you can’t watch movies in Bill Murray’s private home theater, the best place to watch one is on a lawn chair under the stars in Marion Square, sipping beer and eating tasty food from local vendors.” For the Charleston City Paper, then, cinema is above all a ritual and an atmosphere: from this perspective, not only fully equipped home theaters like Bill Murray’s, but also a public park like Marion Square, can be seen as an ideal place for a projection. There are numerous observations to be made concerning the home viewing of films. One ad suggests: “The best home theater set up may indeed include top quality components that could bring forth the entire movie theater experience without needing to drive out of your house towards the movie theater. . . . This contemporary invention will allow you the relaxation and feel actual cinemas deliver.” In this case, cinema is therefore a way of viewing that is both intense and relaxed: it doesn’t matter—or matters less—where it takes place. The same line of reasoning appears in a long article published on the website www.apartmenttherapy.com (the name says it all). The article gives advice on making home viewing as pleasurable as possible. It provides suggestions about the correct distance from the screen, how to ensure sound and image quality, choosing the right film, making “double bill” programs, scheduling an intermission, and lowering the lights. Clearly, these rules aim to reproduce the conditions of the movie theater. Once again, then, we see an idea emerge that takes account of the novelty of the new situation, but still connects it with tradition. There are situations where such connections are more difficult to make. Such is the case, for example, with film viewing on mobile devices like the tablet or smartphone. The traditional cinematic experience called for a static spectator, rather than a mobile one: how should we then think about this new condition? Another online comment offers a solution. A film has always been a form of company for the spectator, and watching one on a mobile device is legitimized if it serves this aim: “From emergency cases to encountering the most boring times while traveling or waiting in line, show reels and movies I actually placed in my mobile phone sometimes become my best buddy, colleague, or companion on the road or in a meeting.” Of course, if one is concerned with viewing quality, a big screen would be a better choice. There are thus multiple ways to bring continuity to the experience of cinema, depending on the characteristics that one wishes to preserve. The recognition of cinema in new situations becomes easier when intermediate steps exist between the new and the old. Still on the topic of watching films on airplanes, in the forum on mubi.com someone recalls the use of film projectors on flights in the 1960s: “I miss 16mm projectors on planes. I’m getting old.” Another responds, “I too remember real film being shown in planes; so wonderfully complicated and yet it worked (the 6000-ft reels I used for my features were, as I recall, designed for in-flight use, running horizontally in a compartment above the ceiling. )” In other cases, this intermediate step is recreated after the fact, in order to make the new situation more cinematic. Various groups of spectators organize collective viewings, in which each individual watches the film at home, but all at the same time, exchanging observations over Twitter. One participant, after a shared viewing of Jurassic Park, observed, “It makes me think back to that far-away afternoon of September 1993, when with a few friends and a pair of plastic dinosaurs, I entered into the little parish cinema to enjoy the most anticipated film of my young life, fluttering excitedly around the theater as though under the influence of fairy dust. A bit like Thursday night.” The idea of being part of a public helps to experience cinema as it was, even if one is now in fact alone. Such an operation can also be extended to its limits. In responding to mubi.com’s survey, one user recalls, “My best transportation/movie experience was hurtling along on a bus in Egypt where the DVD screen was showing an absolutely dismal-quality copy of a Jean-Claude Van Damme martial arts epic. Dubbed in Arabic. Now, that you don’t get every day . . . (a fact for which I am grateful).” Here the idea of cinema is displaced, moving from a good-quality screening, in a good environment and with good company, to one characterized by surprise, strangeness, and provocation. And yet, if on the one hand there is a true redefinition of what a cinematic experience is (we might add: in a globalized and multicultural world), on the other there is a reemergence of the characterizations of the filmic experience offered by early theorists. Their insistence on sensory excitement, or on the sense of the uncanny inherent in every film, pointed in this direction. The user who describes his Egyptian experience is not so far from Blaise Cendrars and his attitude towards cinema in the 1910s. The only difference is that the former, thanks to this attitude, finds something cinematic in an improbable situation. Further examples could certainly be provided, but the mechanism at work is by this point quite clear. In these borderline situations, we evoke a certain idea of cinema that comes from habit and memory, but also from imagination. We do not forget the actual conditions in which we find ourselves; instead, these conditions push us to further analyze the situation. Even within things that appear anomalous, we find traits that are familiar, either because they remind us of a previous history, or because they recur with increasing frequency. It is these familiar traits that allow cinema to reemerge even beyond its canonical contexts. In short, we carry out a recognition: we identify elements and define a situation. Philippe Dubois, introducing a rich and controversial volume, refers to this process. For him, cinema is above all “an imaginary of the image, deep, powerful, solid, and persistent, that enters deeply into our minds and our thoughts, to the point of imposing itself upon other forms. It is an imaginary of the image that serves as the basis upon which we conceive of our relationship to all other types of modern images” (13-14). It is this capacity of an idea to impose itself upon many situations that leads Dubois to see cinema as an already-diffuse presence. What Dubois perhaps omits to mention, however, is the complexity of this operation. To say, “oui, c’est du cinéma”—as he invites us to do, even in situations the most foreign to the canonical—is never a self-evident act. Let us return to our examples. To recognize the presence of something cinematic in borderline situations implies the acceptance of an imperfection. Relocated cinema is not 100% cinema. But it is precisely what is missing that proves valuable: it not only leads us to questioning, but also offers us the possibility of bringing to light a configuration that, despite its difference, continues to be cinematographic. In other words, it is thanks to the differences that we discover an identity. It is thus not a resemblance, however vague or clear, that allows us recognition, but rather the dissimilar and the deformed. “Yes, it is cinema,” because in some sense, it is not. In this light, we can also understand why many scholars consider relocated cinema nothing less than a form of “degraded” vision, as Raymond Bellour calls it (14): when one looks for the identical, the simple return to a previous model, what is different can only be an obstacle. Cinema can only reemerge, though, if one begins from imperfection, and makes a virtue of it. Secondly, recognizing the presence of something cinematic even in odd situations entails a tendentious reading. I repeat: to recognize is not simply to delineate similarities, but rather to see the identical beneath the differences, and to declare it to be identical. In this sense, recognition is a highly creative act. We must know how to—and want to—see what is happening in front of us. “Yes, it is cinema,” only because we know and want to see it as such. Following this logic, it may be useful to distinguish between an essentially retrospective gesture, which brings to light the presence of precedents in the new, and a projective gesture, which constructs an identity after the fact, adapting it to the object before us. In the first case, we find ourselves within a tradition, while in the second we reconstruct a tradition from our recognition. Relocation moves in the second direction, thereby stimulating imagination more than memory or habit, although it is hardly odd to find scholars who limit themselves to the first path. In the same volume from which Dubois’s preface is drawn, Eric De Kuyper and Emile Poppe deny that a spectator in a gallery or a museum can be considered as such: for them it is the apparent that prevails. Thirdly, the recognition of something cinematic brings along with it the fact that we know how to recuperate elements that were lost in the shadows. The idea of cinema has changed over the years, and an excavation into the past can help us to understand what parts of it have been lost. In a well-known text, Miriam Hansen points out how contemporary cinema, even though it seems to violate many of the rules established by Hollywood, in fact reactivates characteristics typical of its beginnings. “Post-cinema” is not the end of a model, but rather the return of its original characteristics. And more. The borderline situations that we find today also illuminate the paths that were intuited, but never really taken. As an example, it suffices to consider Moholy-Nagy’s dream of a cinema that would be projected not on a flat screen, but on a concave hemisphere, and compare it with what we see happening today in installations. Post-cinema is also the realization of possibilities left unexplored. This is why Anne Friedberg reminds us not only to delve deeper into the genealogy of cinema, but also to discover alternative genealogies. The idea of cinema must be ready to enrich itself with new characteristics. So—a confrontation with imperfection, a penetrating reading, and an opening to the possible. To recognize the presence of cinema in new situations is a complex and risky task, but it is only through doing so that we can see the profound authenticity of this presence. Walter Benjamin can perhaps come to our aid here. In the “Epistemo-critical prologue” of his The Origin of German Tragic Drama, he seeks to figure out how one can define a genre that is characterized by many very different works. For him, what is essential is to consider the Trauerspiel in terms of an idea, that is to say, as something that unifies a field of works in a much more effective way than the conception of a prototype followed by copies or an archetype that emerges through a series of iterations. In this context, authenticity is no longer conceived of as the direct correspondence to a canon, nor as the clear permanence of a series of traits. Something is authentic not in itself, because it corresponds exactly to a model, or because it comes to us intact from the past, but rather because we come to consider it as such, taking account of its history, the conditions in which it reappears, and the destiny towards which it is directed. “The authenticity—the hallmark of origin in phenomena—is the object of discovery, a discovery which is connected in a unique way with the process of recognition. And the act of discovery can reveal it in the most singular and eccentric of phenomena, in both the weakest and clumsiest experiments and in the overripe fruits of a period of decadence” (46). We are called to a recognition that also confronts that which is seemingly unrecognizable—that literally constitutes an identity from the differences. Benjamin further clarifies this fact, speaking precisely of the origin and the original. The origin is not a starting point that justifies what will happen later, but rather a “vortex” created around a constant becoming. In this continuous passage, the central element of a phenomenon never makes itself visible as such: “That which is original is never revealed in the naked and manifest existence of the factual. . . . On the one hand it needs to be recognized as a process of restoration and re-establishment, but on the other hand, and precisely because of this, as something imperfect and incomplete” (46). When we carry out a recognition, our point of reference is something that is incomplete; we attempt to reconstitute it, but every reconstitution revolves around this incompleteness. Benjamin adds: “There takes place in every original phenomenon a determination of the form in which an idea will constantly confront the historical world, until it is revealed fulfilled, in the totality of its history” (45). We can in all cases form an idea of an object or a phenomenon, but we can only do so by following along the entire historical journey of this object or phenomenon; we will know what is faithful to it or not only at the end of the journey. This means that we must take into account a temporal development, a “before” and an “after.” Benjamin again: “Origin is not, therefore, discovered by the examination of the actual findings, but it is related to their history and their subsequent development” (46). We have a journey of the object or the phenomenon that unfolds earlier in the process, towards a pre-history, and subsequently, towards a post-history. This brings about a reconsideration of defining traits: “This dialectic shows singularity and repetition to be conditioned by one another in all essentials” (46). In the journey of an object or phenomenon, what appears original and authentic and what appears derived or secondary are mutually bound together, and always appear together. It is by taking into account this picture—which is a matter of not a fact, but a recognition, not a single point of the story but its entire journey, not an object but an idea that supports it—that we can easily say that the relocated experience speaks, at the same time, the language of authenticity and that of deformation. A relocated experience is its model, but in its becoming, in its being stretched between a pre-history and a post-history, between what has been and what will be (or also between what could have been and what could be). This is why it is at once so faithful and so treacherous, to the point of containing forms of experience that seem literally at the limits, or even further—forms of experience that seem to deny their own model. But in this way, and only in this way, is it a cinema experience. Abel, Richard, ed. French Film Theory and Criticism: A History/Anthology, 1907-1939, Vol. 1. Princeton: Princeton UP, 1993. Print. Ackland, Charles. “Theatrical Exhibition: Accelerated Cinema.” The Contemporary Hollywood Film Industry. Eds. Paul McDonald and Janet Wasko. Malden: Blackwell, 2008. 83-105. Print. Albera, François, and Maria Tortajada. “Le dispositif n’existe pas.” Ciné-dispositifs. Eds. François Albera and Maria Tortajada. Lausanne: L’Age d’Homme, 2011. 13-38. Print. Allen, Robert C. “Reimagining the History of the Experience of Cinema in a Post-Moviegoing Age.” Explorations in New Cinema History: Approaches and Case Studies. Eds. Richard Maltby, Daniel Biltereyst, and Philippe Meers. London: Wiley-Blackwell, 2011: 41-57. Print. Andrew, Dudley. What Cinema is! Oxford: Wiley-Blackwell, 2010. Print. Arnheim, Rudolf. Film. London: Faber, 1933. Print. Aumont, Jacques. Que reste-t-il du cinéma? Paris: Vrin, 2012. Print. Balázs, Béla. Visible Man, Or the Culture of Film. 1924. Béla Balázs: Early Film Theory. Visible Man and the Spirit of Film. Ed. Erica Carter. New York: Berghahn, 2010. 1-90. Print. Banda, Daniel, and José Moure, eds. Le cinéma: Naissance d’un art. 1895-1920. Paris: Flammarion, 2008. Print. Bazin, André. What Is Cinema?, 2 vols. Trans. and ed. Hugh Gray. Berkeley: U of California P, 2005. Print. Bellour, Raymond. La querelle des dispositifs: cinéma – installations, expositions. Paris: POL, 2012. Print. Benjamin, Walter. “Erfahrung und Armut.” Gesammelte Schriften, vol 2., bk.1. Frankfurt am Main: Suhrkamp, 1972. 213-19. Print. —. Origin of German Tragic Drama. London: NLB, 1977. Bolter, Jay David, and Richard Grusin. Remediation: Understanding New Media. Cambridge: MIT Press, 1999. Print. Bury, Rhiannon, and Johnson Li. “Is it Live or is it Timeshifted, Streamed or Downloaded? Watching Television in the Era of Multiple Screens.” New Media and Society (2013): 1-19. Web. <http://nms.sagepub.com/content/early/2013/11/06/1461444813508368.abstract>. Caldwell, John T. Production Culture: Industrial Reflexivity and Critical Practice in Film and Television. Durham: Duke UP, 2008. Print. —. “Welcome to the Viral Future of Cinema (Television).” Cinema Journal 45.1 (2005): 90-97. Print. Canudo, Ricciotto. “The Birth of a Sixth Art.” French Film Theory and Criticism: A History/Anthology, 1907-1939, Vol. 1. Ed. Richard Abel. Princeton: Princeton University Press, 1984. 58-66. Print. —. “Reflections on the Seventh Art.” French Film Theory and Criticism: A History/Anthology, 1907-1939, Vol. 1. Ed. Richard Abel. Princeton: Princeton UP, 1984. 291-303. Print. Carbone, Mauro. An Unprecedented Deformation: Marcel Proust and the Sensible Ideas. Albany: SUNY Press, 2010. Print. Casetti, Francesco. “Filmic Experience.” Screen 50.1 (Spring 2009): 56-66. Print. —. “Theory, Post-theory, Neo-theories: Changes in Discourses, Change in Objects.” Cinémas 17.2-3 (2007): 33-45. Print. Cendars, Blaise. “The Modern: A New Art, the Cinema.” French Film Theory and Criticism: A History/Anthology, 1907-1939, Vol. 1. Ed. Richard Abel. Princeton: Princeton UP, 1984. 182-183. Print. Cullinan, Nicholas, ed. Film: Tacita Dean. London: Tate, 2011. Print. Curran, Erica Jackson. “Best Place to Watch Movies, Besides Bill Murray’s In-House Theater in Beverly Hills: Movies in Marion Square.” Charleston City Paper. Web. <http://www.charlestoncitypaper.com/charleston/best-place-to-watch-movies-besides-bill-murrays-in-house-theater-in-beverly-hills/BestOf?oid=3169376>. De Certeau, Michel. La faiblesse de croire. Paris: Seuil, 1987. Print. De Kuiper, Eric, and Emile Poppe. “À la recherche du spectateur. Tentative du mise au clair.” Extended cinema: Le cinéma gagne du terrain. Eds. Philippe Dubois, Frédéric Monvoison, and Elena Biserna. Pasian di Prato: Campanotto, 2010. 61-69. Print. Deleuze, Gilles, and Felix Guattari. Anti-Oedipus: Capitalism and Schizophrenia. Trans. Robert Hurley, Mark Seem, and Helen R. Lane. New York: Viking, 1977. Print. —. A Thousand Plateaus: Capitalism and Schizophrenia. Trans. Brian Massumi. London: Athlone, 1988. Print. Delluc, Louis. “Le cinéma, art populaire.” Écrits cinématographiques, Vol. 2. Ed. Pierre Lherminier. Paris: Cinémathèque Française, 1985-1986. 279–88. Print. —. “From Orestes to Rio Jim.” French Film Theory and Criticism: A History/Anthology, 1907-1939, Vol. 1. Ed. Richard Abel. Princeton: Princeton UP, 1984. 255-258. Print. Dinsmore-Tuli, Uma. “The Pleasures of ‘Home cinema’, or Watching Movies on Telly: An Audience Study of Cinephiliac VCR use.” Screen (2000) 41 (3): 315-327. Print. Dixon, Wheeler Winston. Streaming: Movies, Media, and Instant Access. Lexington: UP of Kentucky, 2013. Print. Dubois, Philippe. “Présentation.” Extended cinema: Le cinéma gagne du terrain. Eds. Phlippe Dubois, Frédéric Monvoison, and Elena Biserna. Pasian di Prato: Campanotto, 2010. Print. Dubois, Philippe, Lucia Ramos Monteiro, and Alessandro Bordina, eds. Oui, c’est du cinéma : formes et espaces de l’image en mouvement. Paisan del Piave: Campanotto, 2009. Print. Eisenstein, Sergei. “The Cinematographic Principle and the Ideogram.” Film Form and The Film Sense. Ed. Jay Leyda. New York: Meridian, 1957. 28-44. Print. Epstein, Jean. “The Cinema Seen from Etna.” Jean Epstein: Critical Essays and New Translations. Eds. Sarah Keller and Jason Paul. Amsterdam: Amsterdam UP, 2012. 287-92. Print. —. “Magnification.” French Film Theory and Criticism: A History/Anthology, 1907-1939, Vol. 1. Ed. Richard Abel. Princeton: Princeton UP, 1984. 235-41. Print. —. “The Senses 1(b).” French Film Theory and Criticism: A History/Anthology, 1907-1939, Vol. 1. Ed. Richard Abel. Princeton: Princeton UP, 1984. 241-46. Print. Everett, Anna, and John T. Caldwell eds. New Media: Theories and Practices of Digitextuality. London: Routledge, 2003. Print. Faure, Elie. The Art of Cineplastics. Boston: Four Seas, 1923. Print. Feldmann, Eric. “Considération sur la situation du spectateur au cinema.” Revue Internationale de Filmologie 26 (1956): 83-97. Print. Fossa, G. “Orizzonti cinematografici avvenire.” La Scena Illustrata [Florence] 43.5, 1 Mar. 1907. Print. Fowler, Katherine, and Paola Voci, eds. “Screen Attachments: New Practices of Viewing Moving Images.” Spec. issue of Screening the Past 32 (2011). Web. <http://www.screeningthepast.com/issue-32/>. Freeburg, Victor O. The Art of Photoplay Making. New York: Macmillan, 1918. Print. Friedberg, Anne. 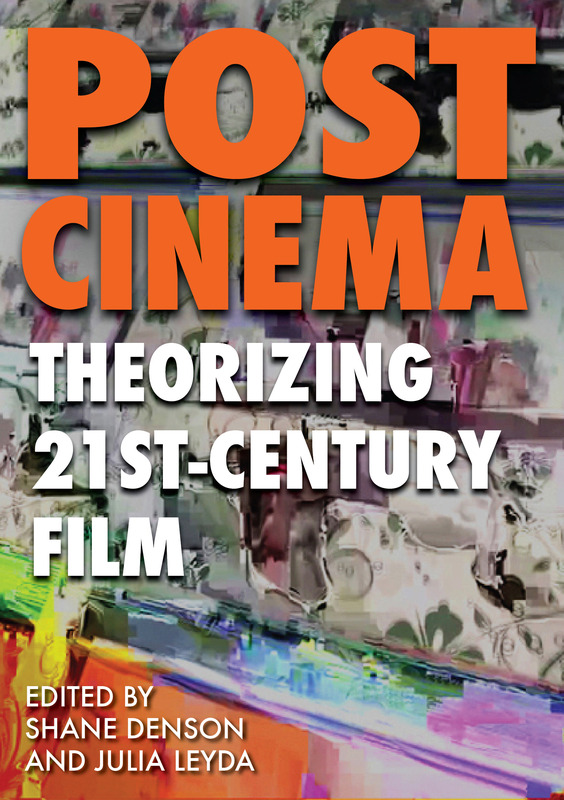 “The End of Cinema: Multimedia and Technological Change.” Reinventing Film Studies. Eds. Christine Gledhill and Linda Williams. London: Arnold, 2000. 438-52. Print. Gay, André. “Le Cinématographe de MM. Auguste et Louis Lumiére.” Bulletin du Photo-Club de Paris 5 (1895): 301-311. Print. Gerbi, Antonello. “Iniziazione alle delizie del cinema.” Il Convegno 7.11-12 (25Nov. 1926): 836-48. Print. Giovannetti, Eugenio. Il cinema, arte meccanica. Palermo: Sandron, 1930. Print. Gunning, Tom. “An Aesthetic of Astonishment: Early Film and the [In]Credulous Spectator.” Art and Text 34 (1989): 31-45. Print. —. “Re-Newing Old Technologies: Astonishment, Second Nature, and the Uncanny in Technology from the Previous Turn-of-the-Century.” Rethinking Media Change: The Aesthetics of Transition. Eds. David Thorburn and Henry Jenkins. Cambridge: MIT P, 2003. 39-59. Print. —. “Uncanny Reflections, Modern Illusions: Sighting the Modern Optical Uncanny.” Uncanny Modernity: Cultural Theories, Modern Anxieties. Eds. Jo Collins and John Jervis. London: Palgrave Macmillan, 2008. 68-90. Print. Hagener, Malte. “Where is Cinema (Today)? The Cinema in the Age of Media Immanence.” Cinema & Cie 11 (2008): 15-22. Print. Hansen, Miriam Bratu. Cinema and Experience: Siegfried Kracauer, Walter Benjamin, and Theodor W. Adorno. Berkeley: U of California P, 2012. Print. —. “Early Cinema, Late Cinema: Transformations of the Public Sphere.” Viewing Positions: Ways of Seeing Film. Ed. Linda Williams. New Brunswick: Rutgers UP, 1994. 134-52. Print. Harbord, Janet. “Breaking with the Aura? Film as Object or Experience.” Film Cultures. London: Sage, 2002. 14-38. Print. Hediger, Vinzenz. “Lost in Space and Found in a Fold: Cinema and the Irony of the Media.” Screen Dynamics: Mapping the Borders of Cinema. Eds. Gertrud Koch, Volker Pantenburg, and Simon Rothöhler. Vienna: Filmmuseum-Synema, 2012. 61-77. Print. Higgins, Charlotte. “Tacita Dean Turbine Hall Film pays homage to a dying medium.” Guardian 10 Oct. 2011. Web. <http://www.guardian.co.uk/artanddesign/2011/oct/10/tacita-dean-film-turbine-hall>. Klinger, Barbara. “Cinema-Shadow. Reconsidering Non-theatrical Exhibition.” Going to the Movies: Hollywood and the Social Experience of Cinema. Eds. Richard Maltby, Robert Stokes, and Robert C. Allen. Exeter: U of Exeter P, 2007. 273-90. Print. Koch, Gertrud, Simon Rothöhler, and Volker Pantenburg, eds. Screen Dynamics: Mapping the Borders of Cinema. Vienna: Filmmuseum-Synema, 2012. Print. Krauss, Rosalind. A Voyage on the North Sea: Art in the Age of Post-Medium Condition. New York: Thames and Hudson, 1999. Print. Kuhn, Annette. Dreaming of Fred and Ginger: Cinema and Cultural Memory. New York: New York UP, 2002. Print. Levine, Laura E., Bradley M. Waite, and Laura L. Bowman. “Mobile Media Use, Multitasking and Distractibility.” International Journal of Cyber Behavior, Psychology and Learning 2.3 (2012): 15-29. Print. L’Herbier, Marcel. “Esprit du cinématographe.” Les Cahiers du mois 16-17 (1925): 29-35. Print. —. “Hermes and Silence.” French Film Theory and Criticism: A History/Anthology, 1907-1939, Vol. 1. Ed. Richard Abel. Princeton: Princeton UP, 1993. 147-55. Print. —. “Hermès et le silence.” Le Temps 23 Feb. 1918. Reprinted and expanded in Intelligence du cinématographe. Paris: Correa, 1946. 199-212. Print. Lindsay, Vachel. The Art of the Moving Picture. New York: Macmillan, 1922. Print. Luciani, Sebastiano A. L’antiteatro. Il cinematografo come arte. Rome: La Voce Anonima Editrice, 1928. Print. Lukács, Georg. “Thoughts on an Aesthetics of ‘Cinema’.” German Essays on Film. Eds. Richard W. McCormick and Alison Guenther-Pal. New York: Continuum, 2004. 11-16. Print. McDonald, Paul, and Janet Wasko, eds. The Contemporary Hollywood Film Industry. Malden: Blackwell, 2008. Print. Mitchell, W.J.T., and Mark B. N. Hansen. Critical Terms for Media Studies. Chicago: U of Chicago P, 2010. Print. Moholy-Nagy, Lazlo. Painting, Photography, Film. Cambridge: MIT P, 1969. Print. Morin, Edgar. The Cinema, or, The Imaginary Man. Trans. Lorraine Mortimer. Minneapolis: U of Minnesota P, 2005. Print. Moses, Gavriel. The Nickel was for the Movies: Film in the Novel from Pirandello to Puig. Berkeley: U of California P, 1995. Print. Orvieto, Augusto. “Spettacoli estivi: il cinematografo.” Corriere della Sera [Milan] 21 Aug. 1907. Print. Papini, Giovanni. “La filosofia del cinematografo.” La Stampa [Turin] 18 May 1907: 1-2. Print. Pirandello, Luigi. Shoot! Trans. C.K. Scott Montcrieff. Chicago: U of Chicago P, 2005. Print. Rancière, Jacques. The Film Fables. Oxford, New York: Berg, 2006. Print. Romains, Jules. “The Crowd at the Cinematograph.” French Film Theory and Criticism: A History/Anthology, 1907-1939, Vol. 1. Ed. Richard Abel. Princeton: Princeton UP, 1993. 53. Print. Sartre, Jean-Paul. The Words. Trans. Bernard Frechtman. New York: George Braziller, 1964. Print. Serner, Walter. “Cinema and the Desire to Watch.” German Essays on Film. Eds. Richard W. McCormick and Alison Guenther-Pal. New York: Continuum, 2004. 17-22. Print. Singer, Ben. “Early Home Cinema and the Edison Home Projecting Kinetoscope.” Film History 2 (1988): 37-69. Print. Somaini, Antonio. “«L’oggetto attualmente più importante dell’estetica». Benjamin, il cinema come Apparat, e il «Medium della percezione».” Fata Morgana 20 (2013): 117-46. Print. —. Ejženstejn. Il cinema, le arti, il montaggio. Turin: Einaudi, 2011. Print. Teige, Karel. “The Aesthetics of Film and Cinégraphie.” Cinema all the Time: An Anthology of Czech Film Theory and Criticism. Eds. Jaroslav Andel and Petr Szczepanik. Prague: National Film Archive, 2008. 145-54. Print. Tryon, Chuck. On-Demand Culture: Digital Delivery and the Future of Movies. New Brunswick: Rutgers UP, 2013. Print. —. Reinventing Cinema: Movies in the Age of Media Convergence. New Brunswick, London: Rutgers UP, 2009. Print. Turvey, Malcolm. “Seeing Theory.” Film Theory and Philosophy. Eds. Richard Allen and Murray Smith. Oxford: Oxford UP, 1997. 431-57. Print. Valéry, Paul. “The Conquest of Ubiquity.” Aesthetics. New York: Pantheon, 1964. 225-28. Print. Vertov, Dziga. “Kinoks: A Revolution.” Kino-Eye: The Writings of Dziga Vertov. Trans. Kevin O’Brien. Ed. Annette Michelson. Berkeley: U of California P, 1984. 11-21. Print. Vuillermoz, Emile. “Before the Screen: Hermes and Silence.” French Film Theory and Criticism: A History/Anthology, 1907-1939, Vol. 1. Ed. Richard. Princeton: Princeton UP, 1993. 155-159. Print. Waller, Gregory A. “Locating Early Non-Theatrical Audiences.” Audience. Ed. Ian Christie. Amsterdam: Amsterdam UP, 2012. 81-95. Print. From The Lumière Galaxy, by Francesco Casetti. 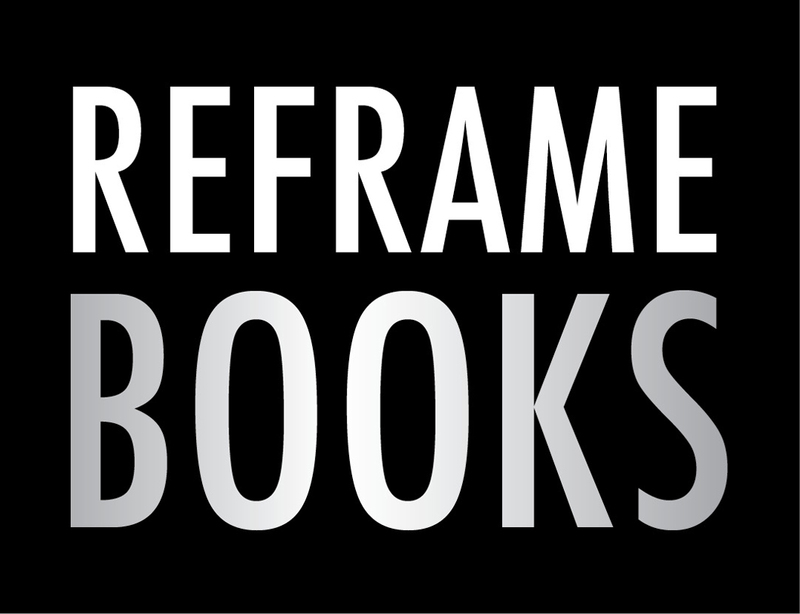 Copyright ©2015 Columbia University Press. Reprinted with permission of the publisher. The exhibition was held from October 11, 2011 to March 11, 2012, and was part of the Unilever Series. It was accompanied by the catalog Film: Tacita Dean, edited by Nicholas Cullinan, in which a series of critics, artists, theoreticians, and filmmakers comment upon the importance of the film and of the analog image in the digital age. The increasing velocity in the film distribution has been brilliantly analyzed, especially for the first decade of the 21st century, by Ackland. For example, see the video “A Day Made of Glass,” which illustrates a series of screens imagined by Corning: http://www.youtube.com/watch_popup?v=6Cf7IL_eZ38&vq=medium; or the video “Productivity Future Vision”, released by Microsoft Labs: <http://www.microsoft.com/en-us/showcase/details.aspx?uuid=59099ab6-239c-42af-847a-a6705dddf48b>; or the presentation of Samsung’s screen/window: <http://www.youtube.com/watch?v =mTVPVobDrms>. This question appears in the title of Hagener’s essay, “Where is Cinema (Today)?” A re-reading of film theory in terms of a topology, instead of an ontology, is proposed by Hediger. “Experience” here refers not only to an exposure to images (and sounds) that engages our senses, but also to an awareness and to the practices that are consequent to such an exposure. We “experience” things when we encounter them, and we “have experience” because we have encountered things. On the experience of cinema, see the two diverging approaches of Sobchack’s The Address of the Eye and Hansen’s Cinema and Experience. See also Harbord; Casetti, “Filmic Experience.” A concise but effective consideration of what it means for a film historian to focus on the experience of cinema is in Allen. Parallel, and opposed to Epstein, see also the praise of the camera eye in Vertov. Cf. Serner: “This frightful lust in watching horror, fighting and death . . . is what hurries to the morgue and to the scene of the crime, to every chase and every brawl . . . And it is what yanks the people in the movie theatre as possessed” (18). The first commentators on cinema, just like the first theorists, were fascinated not only by cinema’s capacity to reproduce reality—a capacity it shares with photography—but also and above all by its reproduction of the living world, of life. Two famous reports that followed the first Lumière projection at the Café des Capucines convey this fascination. La Poste writes, “It is life itself, it is movement captured in action,” and “When these devices are delivered to the public, when all can photograph those who are dear to them no longer in immobile form but in movement, action, and familiar gestures, with a word on the tip of their tongue, death will cease to be absolute” (La Poste, 30 Dec. 1895; rpt. in Banda and Moure 41). We find the same ideas in an article from Le radical, published the same day: “The spoken word has already been captured and reproduced; now so is life. One will, for example, be able to see one’s family members move about again, long after they have passed away” (Le radical, 30 Dec. 1895; rpt. in Banda and Moure 40). This theme is taken up by other commentators and scholars; see in particular Fossa, who in the name of the reproduction of life imagines that cinema needs to connect itself with the telegraph and the phonograph (“Orizzonti cinematografici avvenire”). Recently, two books, both of them praising the permanence of cinema also in a post-medium condition, highlight the relevance of this “encounter” with reality: Andrew, What Cinema is!, and Aumont, Que reste-t-il du cinéma? Faure claims that humankind has always needed “a collective spectacle . . . able to unite all classes, all ages, and, as a rule, the two sexes, in a unanimous communion exalting the rhythmic power that defines, in each of them, the moral order” (5). Freeburg focuses on the capacity of film to transform a crowd into a public, able to articulate a deliberate expression: “This deliberate expression is called public opinion” (8). The idea that cinema brings us back to a primitive condition and offers us an “originary” experience is largely present in early debates. An example is provided by Canudo: “[cinema] is bringing us with all our acquired psychological complexity back to the great, true, primordial, synthetic language, visual language, prior even to the confining literalness of sound” (“Reflections” 296). On the relevance of “primitive” in film theory and in art theory during the ‘20s and ‘30s, see Somaini’s Ejženstejn. Arnheim writes: “An essential condition of a good work of art is indeed that the special attributes of the medium employed should be clearly and cleanly laid bare” (44). An excellent reconstruction of those years appears in Hansen, Cinema and Experience. Among the many contributions, see for instance Feldmann. On Pirandello and his “cinematic vision,” see Moses. It should be noted that in these same years cinema is considered a medium capable of transporting emotions. L‘Herbier writes, “the cinematograph seeks nothing other than to distribute human emotions, just as ephemeral as they are on the ephemeral film, but stretched out horizontally over the vaster expanse of the world.” According L’Herbier, this distribution is what opposes cinema to art: if the former spreads emotions that last only a few moments, also because on an ephemeral medium, art does the opposite, concentrating emotions in a work which tries to be perennial. See L’Herbier “Esprit.” The question, however, is whether the emotions raised by a film as such find means that let them to go beyond the darkened room. Singer has shown the availability of dozens of projectors intended for amateur use in the home and elsewhere just two years after the appearance of Edison’s Kinetoscope. See especially Singer 42-45. On the long permanence of non-theatrical venues, after the movie theatre became the standard mode of exhibition, see Waller. See Klinger, who strongly advocates for a larger consideration of film experience. Research on the migration of cinema—and on the dissolution of its borders—has exploded recently. In the large bibliography, I want to mention at least Koch, Rothöhler, and Pantenburg’s Screen Dynamics, and “Screen Attachments: New Practices of Viewing Moving Images,” a special issue of the e-journal Screening the Past, edited by Fowler and Voci. An extended and persuasive picture of cinema in the age of digital and interaction is provided by Tryon, in his books Reinventing Cinema and On-Demand Culture. The large industrial landscape in which such a migration takes place is masterly explored by Caldwell in Production Culture; see also Everett and Caldwell, eds. A worldwide picture of the new Hollywood is McDonald and Wasko, eds., The Contemporary Hollywood Film Industry; see in particular the analyses by Schatz (on the “conglomerate” Hollywood), Wasko (on finance and production), Drake (distribution and marketing), and Ackland (theatrical exhibition). The concept of convergence can indeed be taken in this sense; see Jenkins. See Deleuze and Guattari, Anti-Oedipus: Capitalism and Schizophrenia; see also A Thousand Plateaus: Capitalism and Schizophrenia. Deleuze and Guattari make extensive reference to the dynamic of drives: in the processes of de- and re-territorialization, elements behave as libidinal charges, which can be bound or freed, and can configure systems that are either more compact or more labile. Such a reference reminds us that a medium may also be pushed into movement by a desire, and it is in relation to this desire that it either remains nomadic or allows itself to be trapped in one place. See, for example, the analysis of the mode of seeing developed by mobile media in different contexts in Levine, Waite, and Bowman. In a more sociological vein, see Bury and Li. Some data (mostly from online reports), and amusing descriptions of media users as film spectators, can also be found in Dixon. It is possible to retrieve quantitative figures in the surveys by Nielsen. A qualitative audience study on the re-enjoyment of films as films in a domestic environment is Dinsmore-Tuli. Carbone has written some important pages on the relationship between form and deformation. My insistence that the form of an experience emerges from a situation, rather than being applied from the outside, as well as the connection that I propose between the “form of the cinematic experience” and the “idea of cinema,” owes much to Carbone’s book. Turvey proposes applying Wittgenstein’s concept of “seeing-as” to the recognition of filmic images. I am trying here to extend Turvey’s claim, applying the concept not only to filmic images, but also to the spectator’s situation, as well as noting that in the case of “seeing-as,” differently than in that of “seeing,” we also keep in mind the possibility of switching from one figure to the other. I strongly insisted on this quality of theory in my “Theory, Post-theory, Neo-theories. On the role of memory in our experience of cinema, see, among others, Kuhn. Balász understood this quality quite well, writing that theory, which is expected to bring us such an idea, “is the road map for those who roam among the arts, showing them pathways and opportunities” (3). On the “idea of cinema” as a key element, see Albera and Tortajada. The need and effectiveness of an “idea of cinema” has recently been displayed by Andrew. How an “idea of cinema” is extracted by imperfect situations is debated by Rancière in the ”Preface” to his The Film Fables. Naturally, the “idea of cinema” takes us back to the “myth of cinema” discussed by Bazin. This image appears in the essay “Erfahrung und Armut,” 219. See “7 Great Places to Watch Movies” at <http://movies.allwomenstalk.com/great-places-to-watch-movies>. Consider Romains (1911): “They sleep; their eyes no longer see. They are no longer conscious of their bodies. Instead, there are only passing images, a gliding and rustling of dreams” (53). “10 Tips for Better Movie Watching at Home,” at <http://www.apartmenttherapy.com/10-tips-for-better-movie-watching-at-home-178616>. See also “The key rules of watching a movie at home properly” at <http:// www.denofgeek.us/movies/18885/the-key-rules-of-watching-a-movie-at-home-properly>. “Watching Movies on Handheld Devices: Mobility Vs. Audio-Visual Clarity,” at <http://movies.yahoo.com/news/watching-movies-handheld-devices-mobility-vs-audio-visual-20110128-083000-714.html>. <http://www.i400calci.com/2013/03/400tv-jurassic-park/>. In this case, the collective viewing was organized by the Italian online journal I 400 calci. Rivista di cinema da combattimento. See the volume by this title edited by Dubois, Monteiro, and Bordina. Moholy-Nagy called the experiment “simultaneous or poly-cinema” (41). A useful reading of the “Prologue” can be found in Carbone. On this issue, see Carbone 104.